To get to our starting destination of Takamatsu, take the Shinkansen to JR Okayama station, then board a conventional train to Takamatsu City. 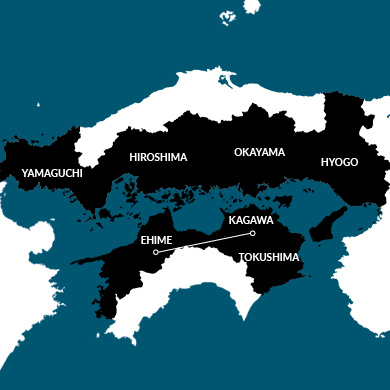 The trip should take approximately 2 hours from Osaka. From Matsuyama City in Ehime Prefecture, it’s convenient to use Matsuyama Airport or JR Matsuyama Station to return to Okayama which provides direct access to the Shinkansen. Takamatsu City hosts the largest, and one of the most beautiful, Japanese gardens in the country. Construction of this manicured masterpiece of nature started in 1625, and took more than a hundred years to reach its full glory. Until Japan entered the modern world, this 16 hectare ‘garden on a grand scale’ was reserved exclusively for local nobility. But the political climate changed, and Ritsurin Garden was declared a prefectural park in 1875, exactly 250 years after its inception. Finally, the general public could see what had remained hidden behind the garden walls. Apart from the 1400 beautifully manicured pine trees, a host of cherry trees, and droves of other vivid plant life, one of the most attractive features of the garden is the way it has been integrated into the adjoining low lying hills, stretching up to the local peak, Mount Shuin. Taking in this garden vista, our eyes are fooled into seeing the view spreading far beyond the garden’s outer wall. This scenic enhancement continues within the park, with artificial hills and six lakes adding distance and topographical diversity, miniaturizing nature onto a very Japanese scale. Taking a boat ride on the glass-like ponds is highly recommended, as is a visit to the teahouse. Sipping tea while looking out over the tranquil garden and carp-filled ponds, delivers a quintessentially Japanese experience. Takamatsu contains another botanical gem, although this time on a much smaller scale. 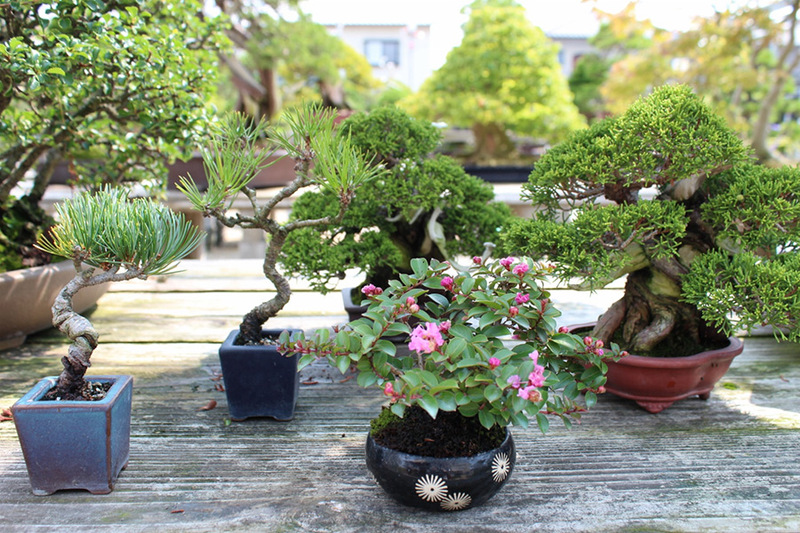 The Nakanishi Chinshoen bonsai garden, only 15 minutes from downtown, has been run by the Nakanishi family for five generations, and forms the centerpiece of Kinashi Bonsai District, a small area that accounts for around 80% of all pine bonsai produced in Japan. 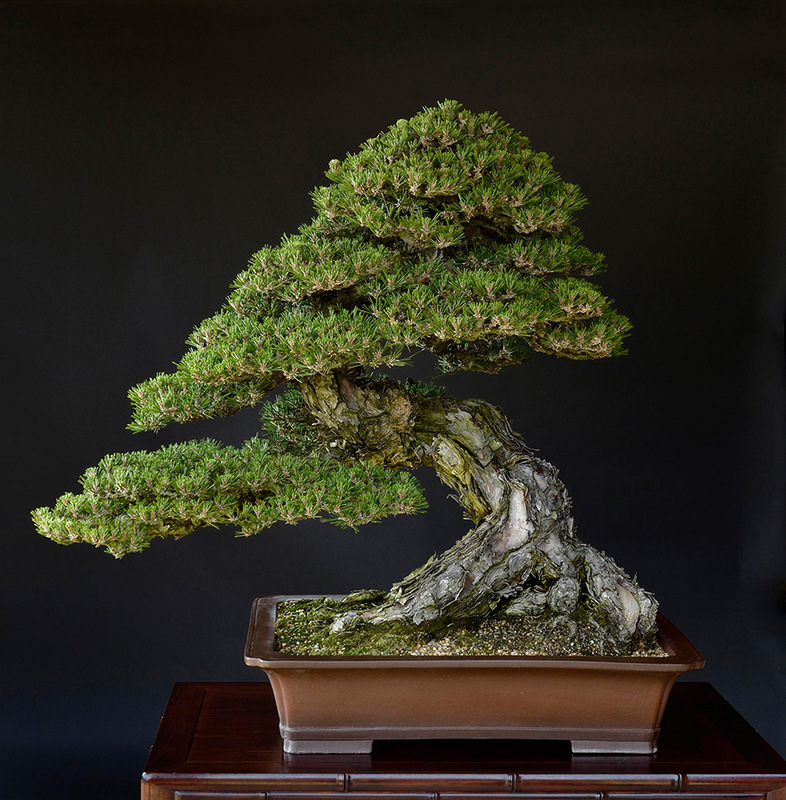 Established more than 100 hundred years ago, Nakanishi Chinshoen not only displays some of the oldest and finest examples of pine bonsai in existence, but also leads research into this most meticulous of the manicuring arts. Nakanishi Chinshoen is open to the public, and the staff are passionate about spreading their love for bonsai as a way of bringing people closer to nature. Contact the garden to arrange a personalized sightseeing tour, and let the friendly staff guide you into the secret life of bonsai. You can even purchase plants directly from the garden nursery. It will be no surprise to hear that Japan is mildly obsessed with noodles. Whether it be ramen, soba, or udon, each type boasts its aficionados, with noodle allegiances commonly divided along geographic lines – not only between the noodles themselves, but also among variations of the same noodle type. However, one noodle in particular, Sanuki udon, is universally recognized as being the best noodle of its type, and it originates from noodle-mad Kagawa Prefecture. So just what’s different about it? Well, Sanuki udon is made from a wheat flour that gives the noodle a slightly elastic consistency, imbuing it with a firmness lacking among its rivals. 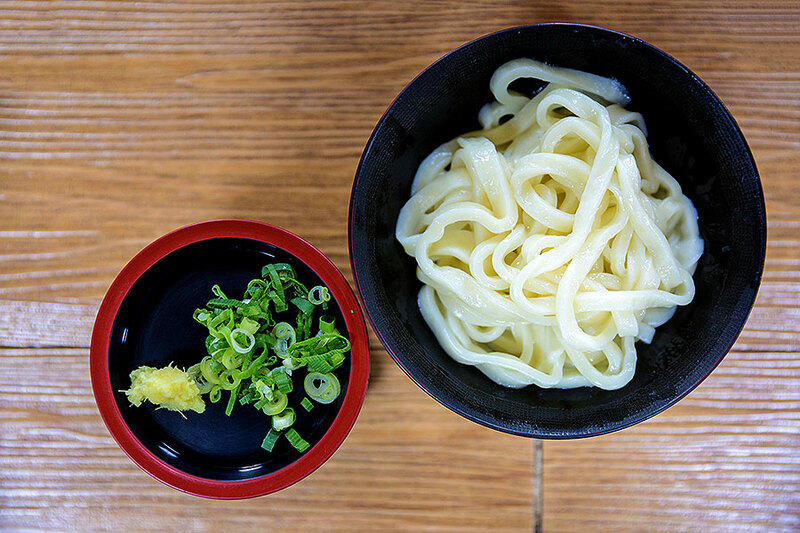 Ingredients aside, the real secret lies in the distinct process of making Sanuki udon – trampling on it with your feet, kneading it with your hands, and cutting the dough into threads. If you’re keen to expand your culinary repertoire, all these skills can be learnt in Kagawa at the Nakano Udon School. Over the course of 60 to 90 minutes, an instructor will take you through each stage of the udon making process. 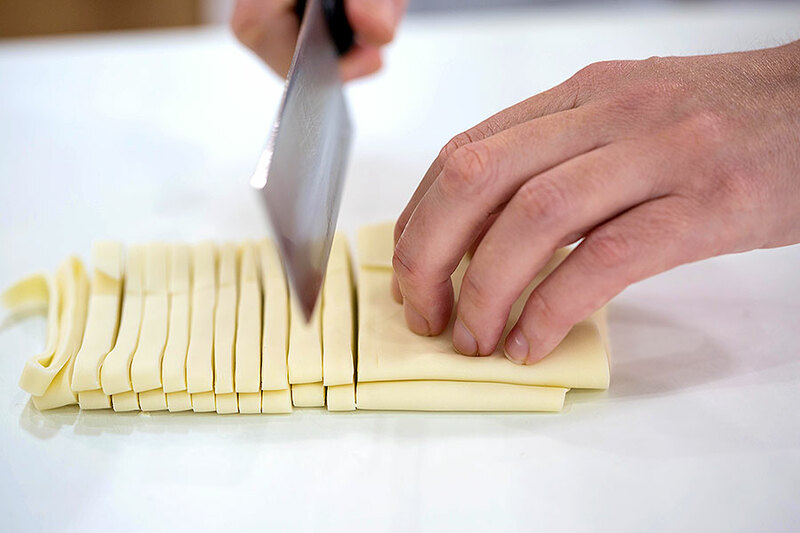 While the trampling and kneading may sound like a bit of hard work, it is so much fun you will forget the physical labor side, and instead find yourself filled with excitement at watching the noodles taking shape before your eyes. Once you’re all done, there is a certificate for udon making competency awarded, and you even get to eat the fruits of your labor at the adjacent dining hall. 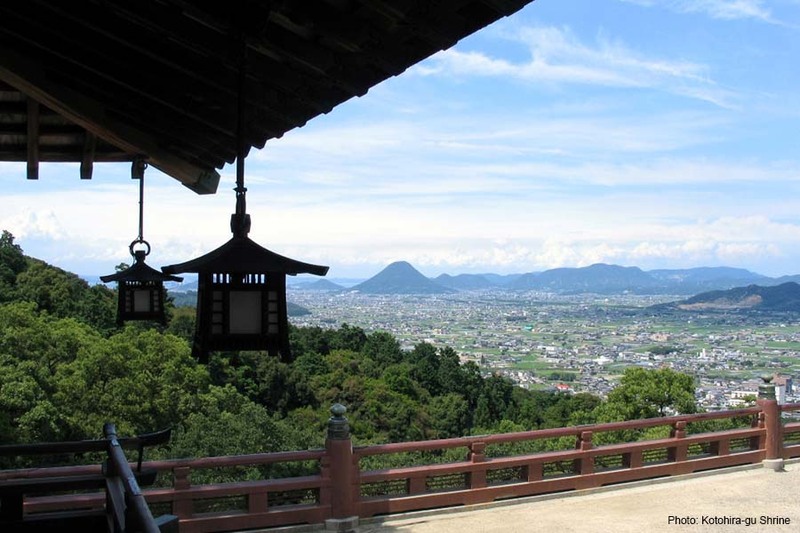 The picturesque town of Kotohira in Kagawa Prefecture is home to the Kotohira-gu Shrine located halfway up Mt. Zouzu. 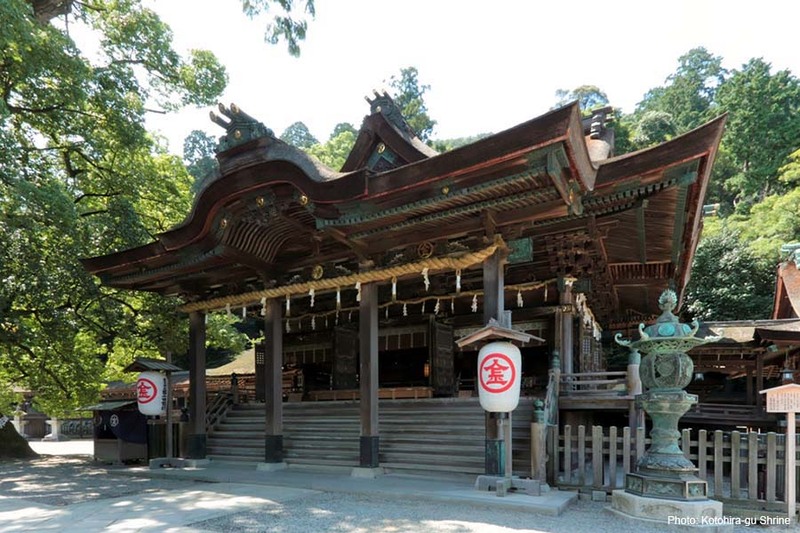 Affectionately known as “Kompira-san,” Kotohira-gu Shrine serves as the head of a set of shrines spread around Japan which are dedicated to a sea god. People come to these shrines to pay their respects in the hope of bestowing good fortune on seafarers. Kotohira-gu receives great reverence, and attracts thousands of pilgrims who come to climb the 785 steps leading to shrine. That may sound like a lot of steps, but at that point you’re actually only halfway up the mountain. For those requiring extra blessings, or simply keen on the exercise, there are another 583 steps leading to the inner shrine located at the summit. If that sounds a little intimidating, there are also palanquin available for hire if you really want to get to the top but for whatever reason can’t tackle the climb. Regardless of how you get there, the view from the mountain top gives you a vista of rolling hills and with distant beauty of the Seto Inland Sea beyond. It’s impressive enough to help you forget the exertion it took to climb that high. Of course you’ll probably find the descent much easier, and should have enough breath to take in the beauty and significance of the various shrines you’ll pass along the way. 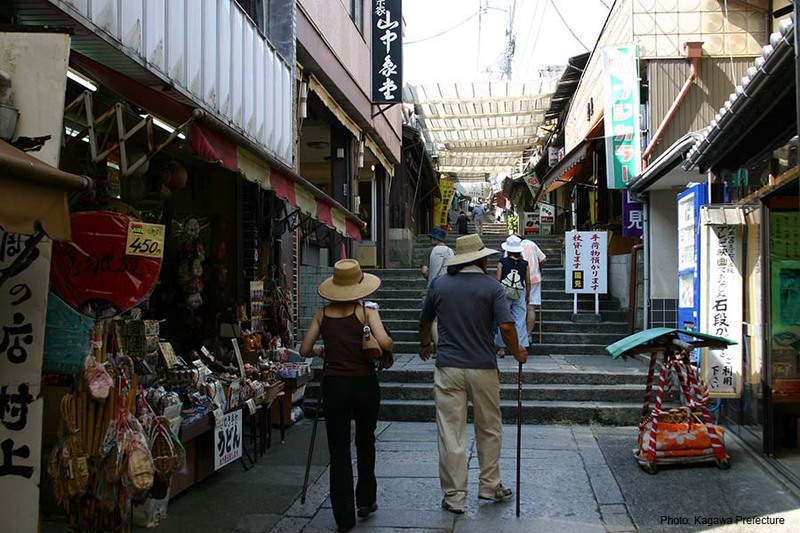 The historical sites continue all the way into Kotohira itself, making for an enjoyable, and less strenuous chance to take in the best that this quaint town has to offer. 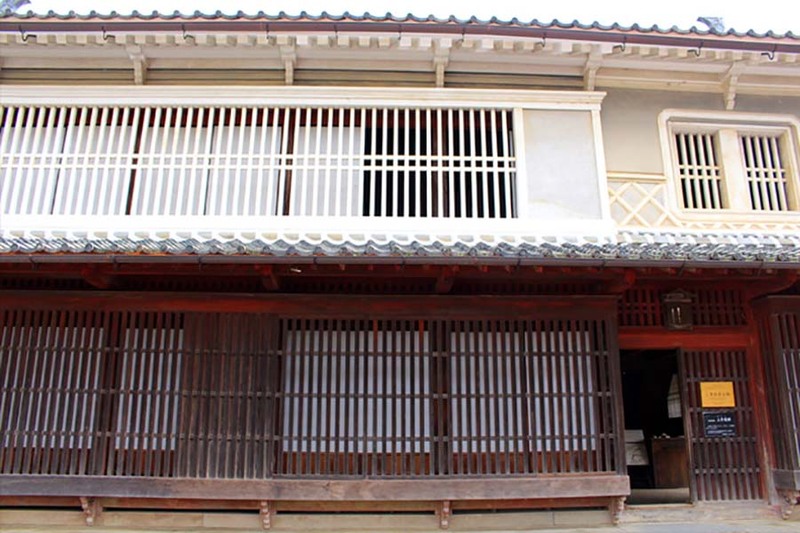 Uchiko is a well-preserved and historically rich town in Ehime Prefecture on Shikoku island. Once a center for wax and candle production, times have changed, and with them this once prosperous town’s economic fortunes. On the other hand, there remain many well-preserved buildings and facilities that make for a fascinating time-slip experience into Meiji Japan. What better way to experience this than to actually stay in a renovated, historically rich house in one of the best preserved sections of the town? 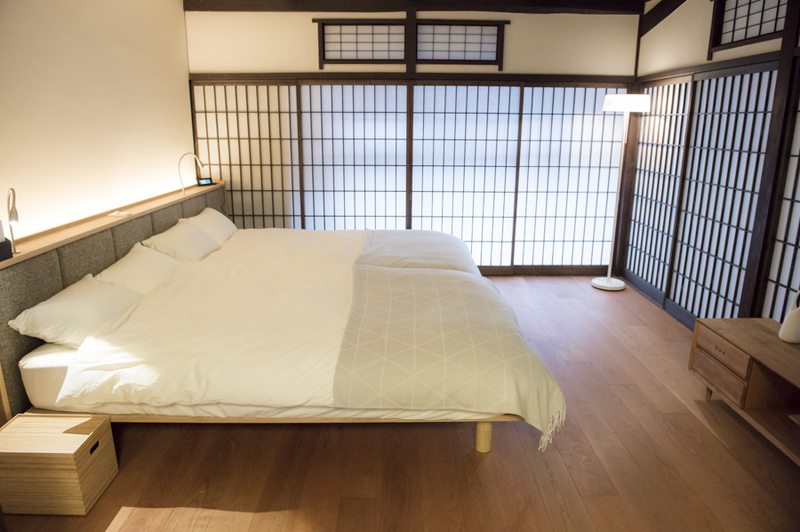 Finding yourself with an entire house to relax in is a luxury all too rare for travelers, allowing you to spread out and find a bit of normalcy in the hectic day-to-day of overseas travel. Check-in to this rental house is easy and convenient, and comes with a welcome drink and guided tour of the town. You’re free to make the kitchen your own, or to order from the food delivery options close at hand. You will soon find yourself at peace with your surroundings, synchronizing to the relaxed pace of life gently flowing by outside your doorstep. 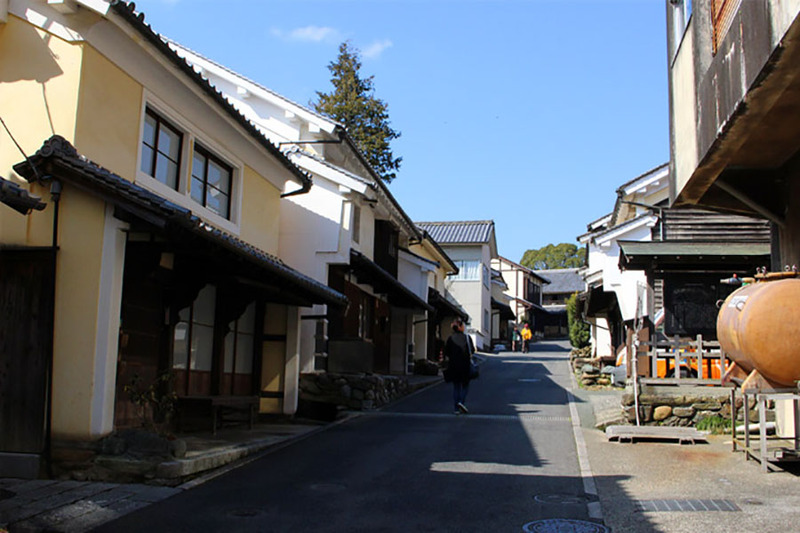 The town of Uchiko is gaining popularity as a venue for historical walking tours. 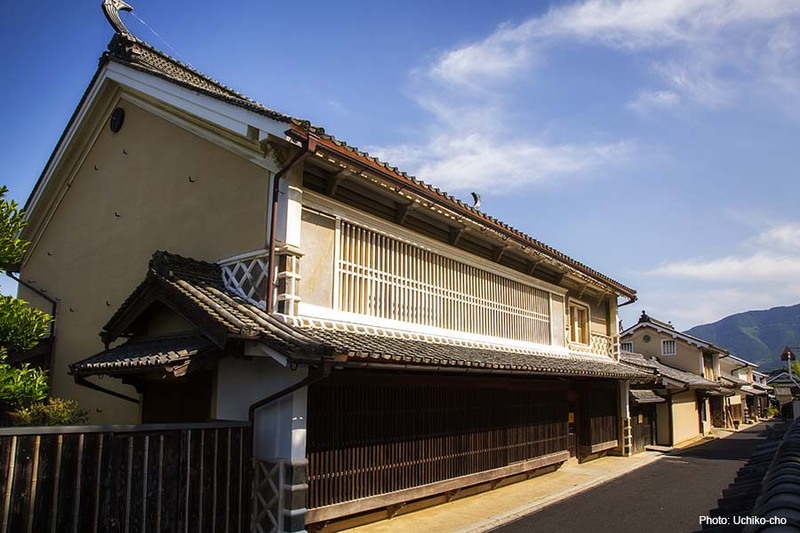 The slower pace of engaging with this beautiful time-capsule hidden in Ehime Prefecture gives visitors the chance to imagine themselves in Meiji Japan, or even pre-modern Edo era. 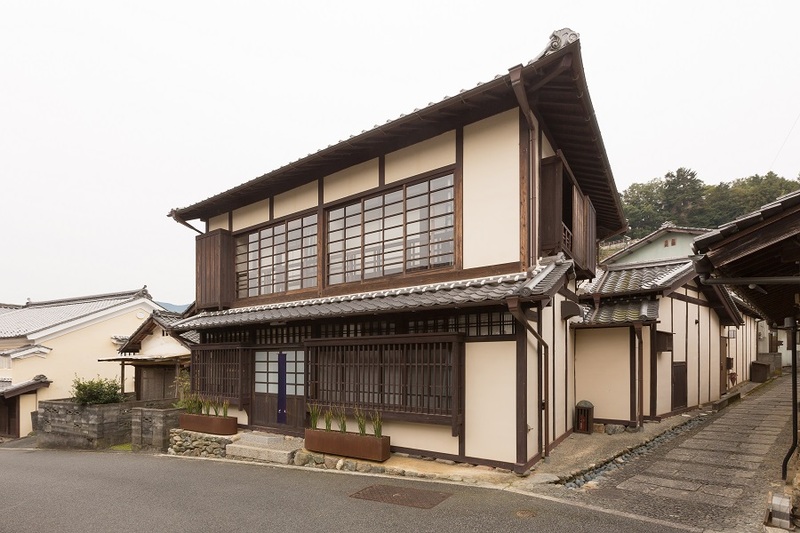 During those times, Uchiko was riding high as a center for wax and candle production, its affluence reflected in the ornate buildings of the era. Paying homage to this history, the town now has more than 90 merchant houses restored to their original eighteenth and nineteenth century condition. The best way to take it all in is to walk the streets with guide. Having them point out distinctive motifs and architectural features from the town’s glory days gives context and guidance, allowing you to see far deeper into this town’s history than if you tackled its specially preserved streets unaccompanied. 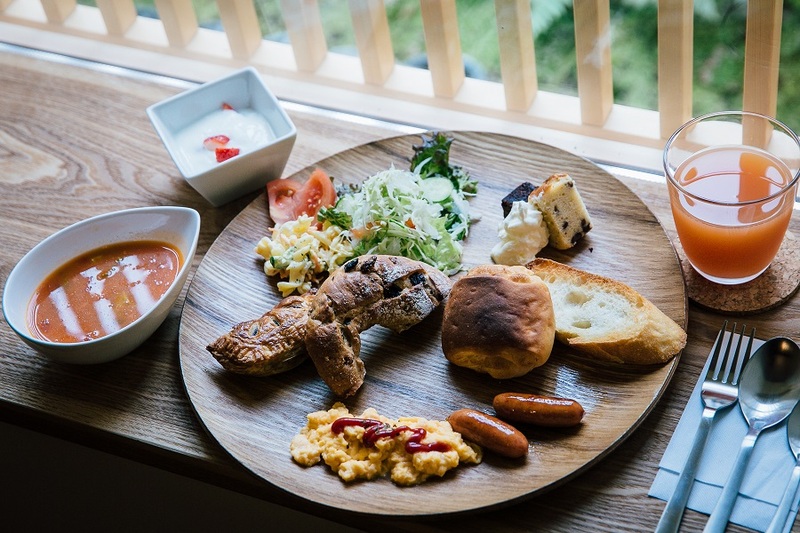 But Uchiko is more than just a nostalgic townscape – multiple museums, and the famed Uchiko-za theatre, with its fascinating backstage tour, are highlights that will have you lingering, wanting to know more. As a final treat, be sure to drop into Omori Warousoku, the last place in the town still producing handmade candles – and while you’re there, pick yourself up a piece of history as a souvenir. 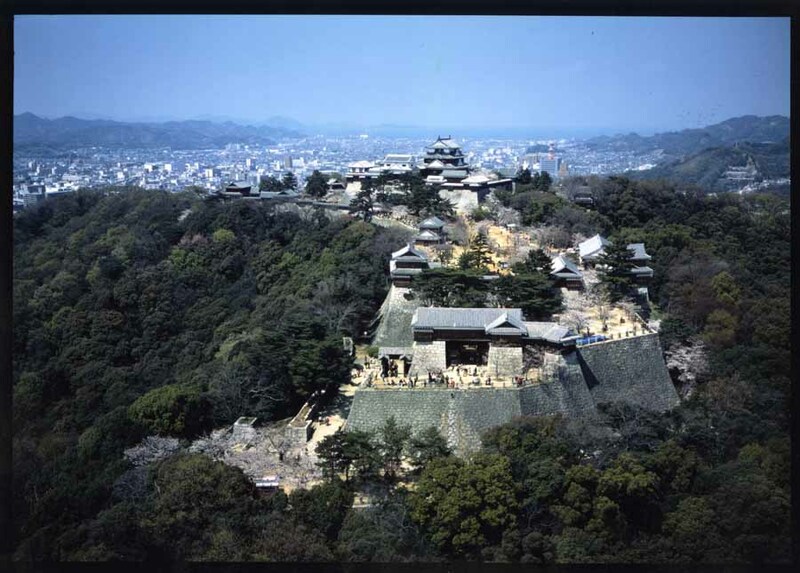 Matsuyama Castle is built on the flattened summit of Mt. Katsuyama, positioned in the very center of the namesake city which it protected for centuries. 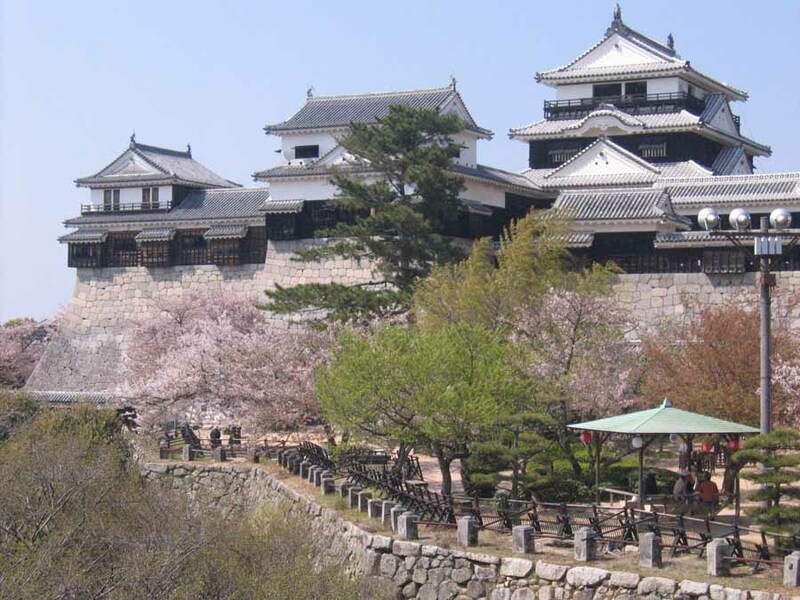 Constructed between 1602 and 1628, it is one of just twelve castles to retain its original Edo-era keep intact through Japan’s turbulent emergence into a modern nation. Today, all twenty-one of Matsuyama Castle’s buildings are listed as Important Cultural Properties by the national government, and it is one of Japan’s most treasured castles. 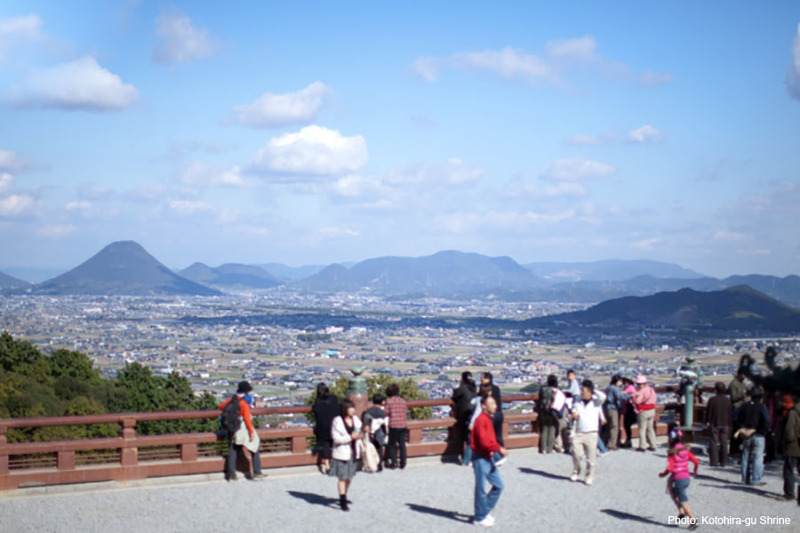 The castle’s steep hilltop position allows for superb views of the surrounding countryside, and far into the Seto Inland Sea which alone will prove well worth the 20 minute walk to the top. If the walk isn’t ideal for you,the castle’s cable car and chair lift options may prove an attractive alternative to the climb. 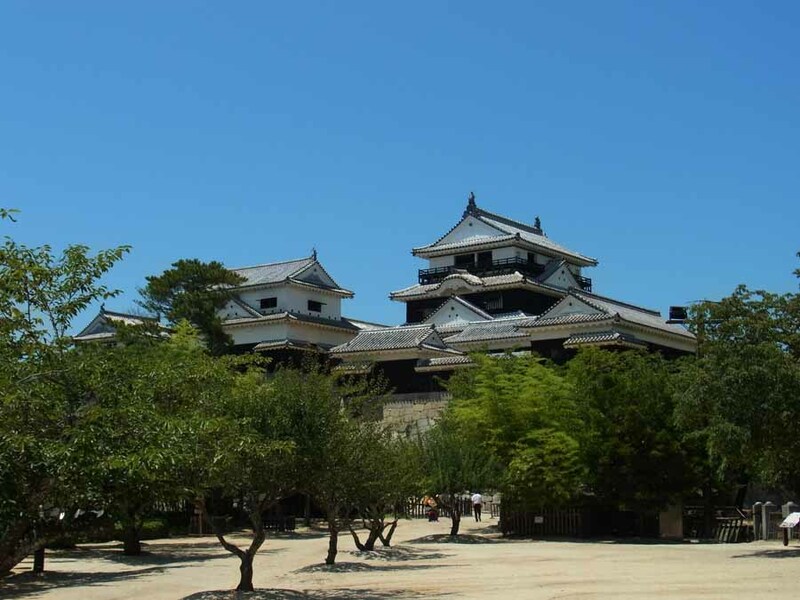 Over the centuries, parts of the castle have been destroyed by fire or bombardment, but thanks to historic renovations and meticulous maintenance, Matsuyama Castle offers a rare history lesson in feudal architecture and warfare that will fascinate all ages. As a bonus, you can also hire armor and wield a sword to elevate your castle experience to a completely different level of authenticity.